There will be something to crow about as Chinese New Year celebrations get under way in Birmingham to mark the Year of the Rooster. A free event takes place in Southside on Sunday January 29 from 11am to 4pm and includes live performances, an Asian food fair and traditional Chinese music. Birmingham Hippodrome is helping to stage the festival with the Chinese Festival Committee Birmingham and is providing artists for creative family workshops in its Patrick Centre studio. Visitors of all ages can enjoy activities including lantern-making, a Chinese Minecraft session, Lego workshop and even mask making. Meanwhile, the Jelly Rollers will bring to life a beautiful wooden dragon. The 12ft tall George the Dragon will enthral all ages as he plays music, blows bubbles and moves around with help from some hidden and carefully engineered handles. There will also be stunning circus aerial performers gracefully swirling above the audience on hanging material. Artists from RoguePlay will perform at 11.30am, 12.45pm and 2.30pm with a free workshop at 1.10pm. A concert in celebration of Chinese New Year concludes the festivities at the Patrick Centre and showcases the best Chinese students from Birmingham Conservatoire. The Chinese Classical Showcase, which costs £10, will start at 7pm with Birmingham Conservatoire Principal Julian Lloyd Webber introducing each performer. The programme includes Jiaxin Lloyd Webber on cello and Di Xiao on piano; I-Hsuan Pen and Yu-Mien Sun, both on piano and a string quartet with Jeffrey Armstrong, Olga Eckert, Yue Yu and Victoria Groves. 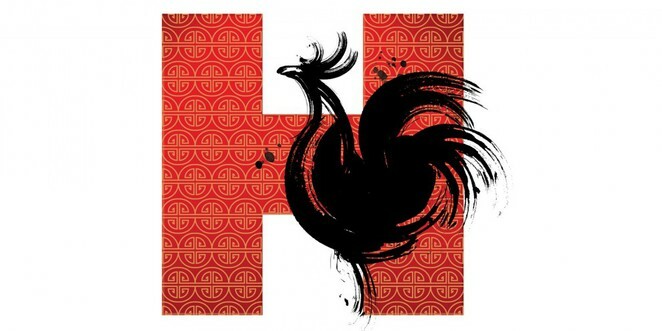 With a feast for the eyes, the ears and the taste buds, the Chinese New Year celebrations are set to herald in the rooster's year in style. Drop in to make a Chinese Arch from Lego. Create a Chinese New Year mask. These workshops are every 45 mins and visitors can sign up on the board for each session - but places go to those who sign up first. The chance to build a beautiful Chinese lantern at the craft station. These workshops are every 45 mins and anyone interested signs up on the board for each session. Session for 15 minutes to build your own version of Chinese New Year alone or with a friend.